A public drop-in to be held to hear the views of residents regarding a new housing development in the town. 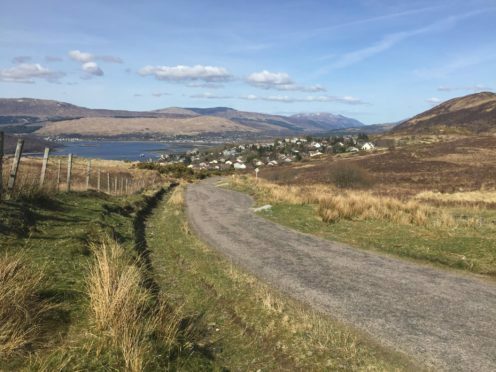 Fort William 2040 – or FW2040 – is being described as an “ambitious vision for the future” of the town and region, and now the public, businesses and community groups will get a chance to have their say on it. The move comes with several major developments in the works, including creating an alloy wheel factory near the smelter, the relocation of Belford hospital and a new industrial and housing development. To incorporate these developments and ease planning, a draft masterplan is being prepared showing how the town and the nearby areas can best take advantage of the changes. The local authority wants to get the public, businesses and community bodies to work together to finalise the masterplan and agree how and when it will be delivered. A public consultation has arranged by Highlands and Islands Enterprise (HIE), the Scottish Government and the Highland Council next Wednesday at the Nevis Centre in Fort William. The in-depth consultation will involve three workshop sessions held between 10am and 8:30pm with participants asked to contribute to FW2040 vision and agree how it will be delivered. The day will be divided into three sessions with the first looking at what people want FW2040 to deliver, the second on how it will be delivered, and the third on the emerging masterplan. Some of the workshops will be divided into themes devoted transport, housing, energy, tourism and education, skills and talent attraction. Lochaber Area Committee chairman, Councillor Andrew Baxter, said: “I would encourage everyone who has an interest in the future of Fort William and Lochaber to come along and have a say in the plans. 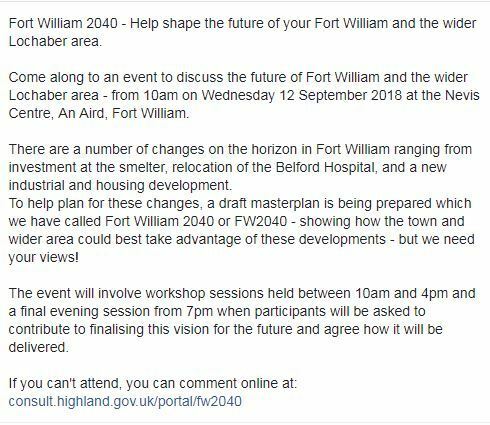 Scottish communities secretary Aileen Campbell said: “It’s very positive to see this event bringing the community, industry and public bodies together to take part in a conversation about shaping the future of Fort William.